Lil Wayne Graphite Drawing. Drawing of Lil wayne done by kenal of kenalsworld.com. 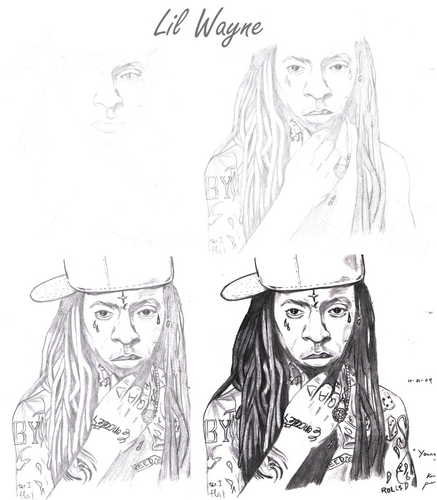 HD Wallpaper and background images in the Lil' Wayne club tagged: kenalsworld.com wayne drawing drawing lil wayne drawing artwork art sketch lil wayne sketch lil wayne. This Lil' Wayne fan art contains anime, comic book, manga, and cartoon.